Caption slip reads: "Photographer: Rustan. Date: 1953-07-21. Assignment: American Legion. 31-32: William A. 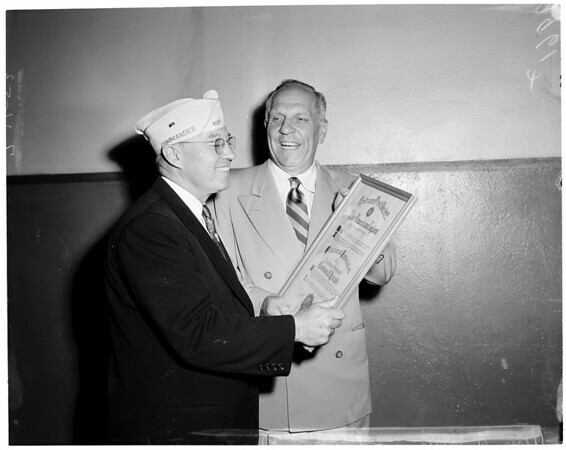 White, State Commander of American Legion, California presents citation to Lt. Gov. Goodwyn [sic] J. Knight. (Negs. to Gus Newman)."